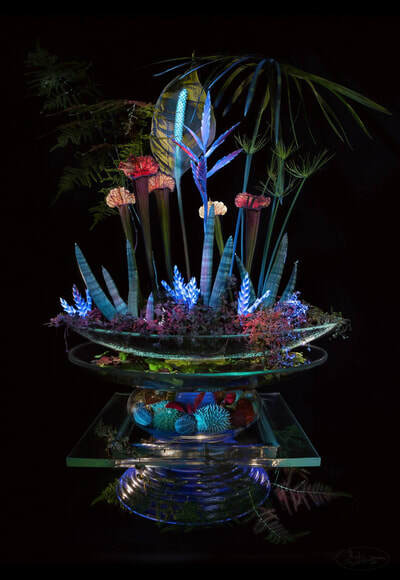 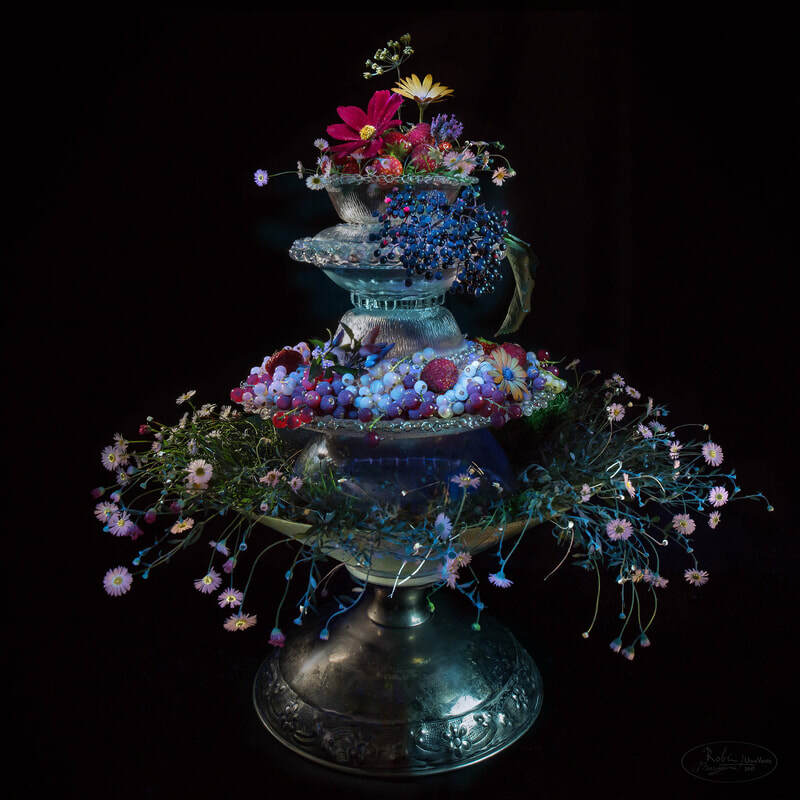 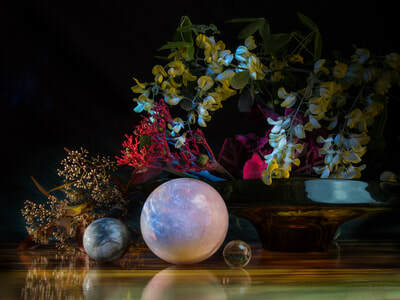 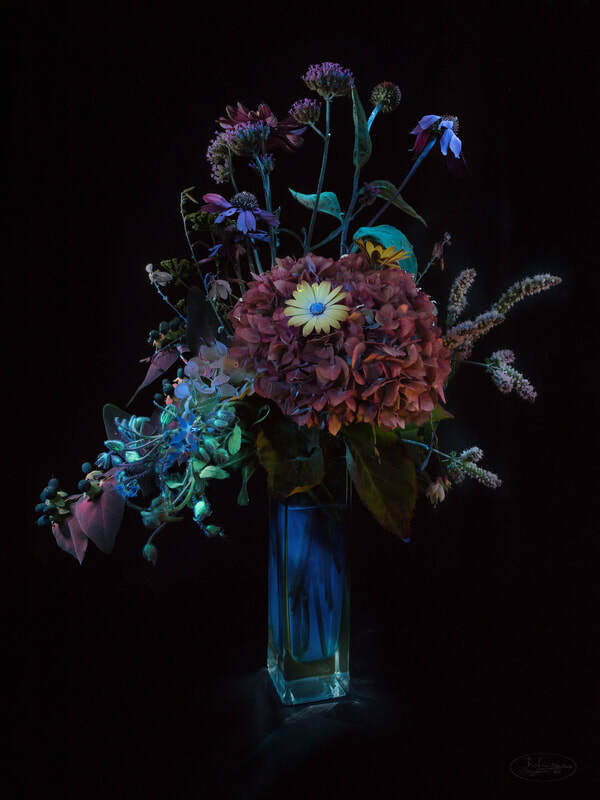 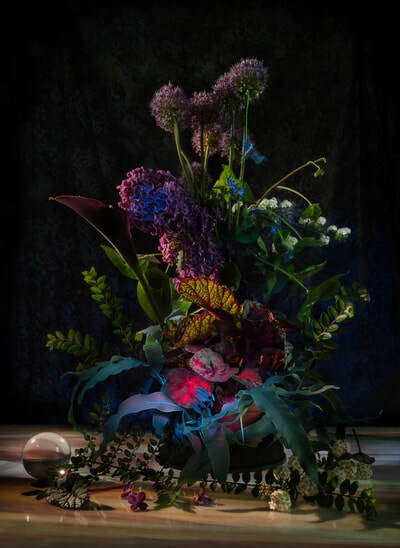 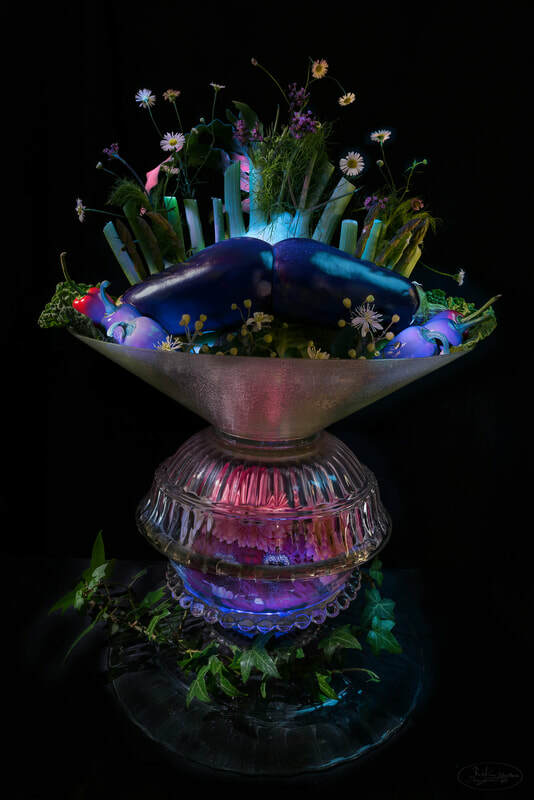 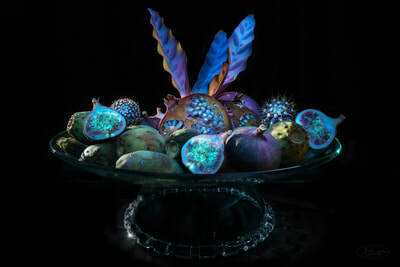 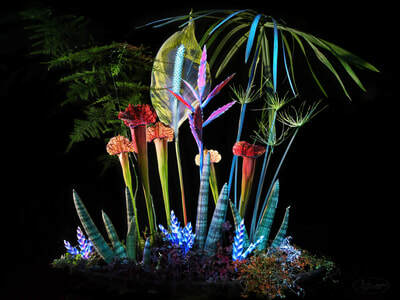 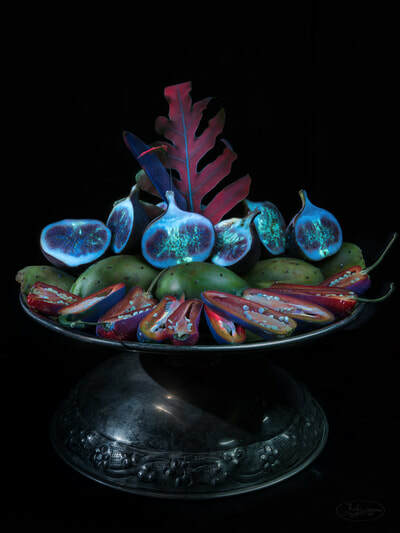 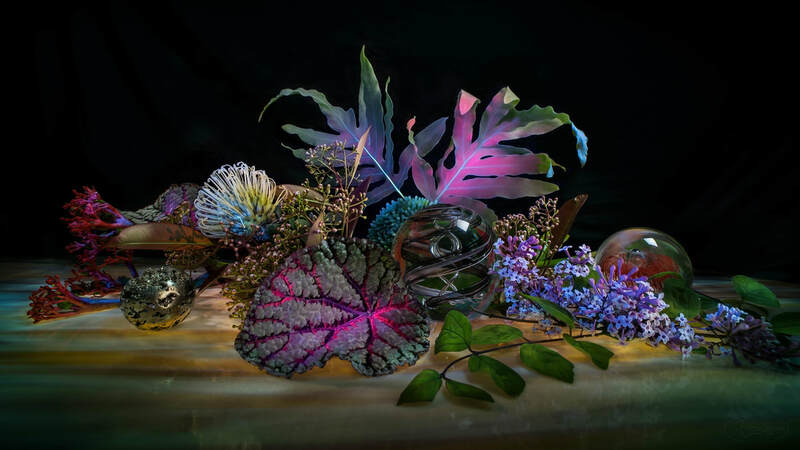 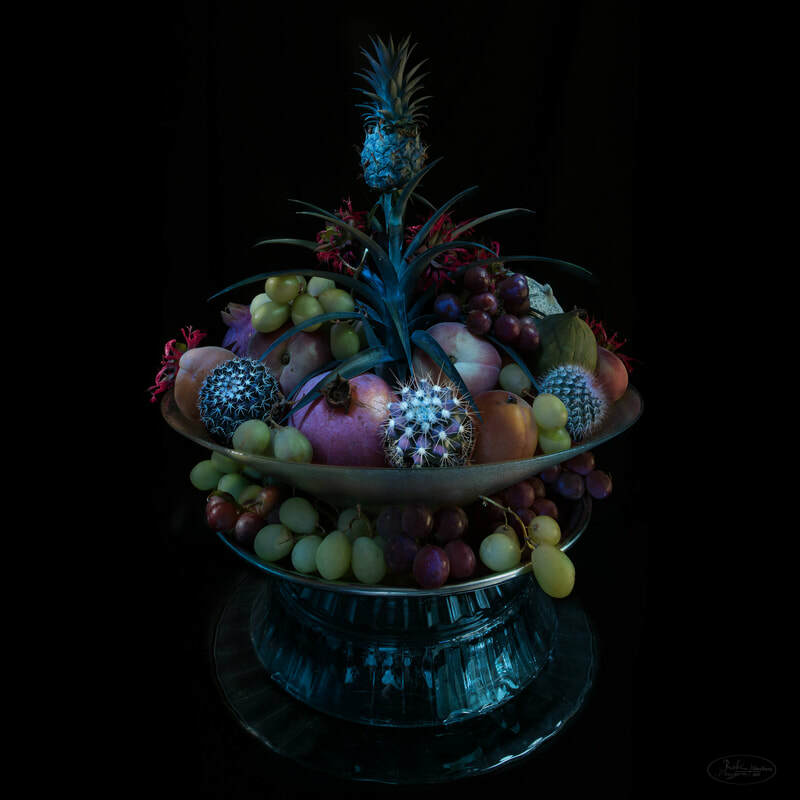 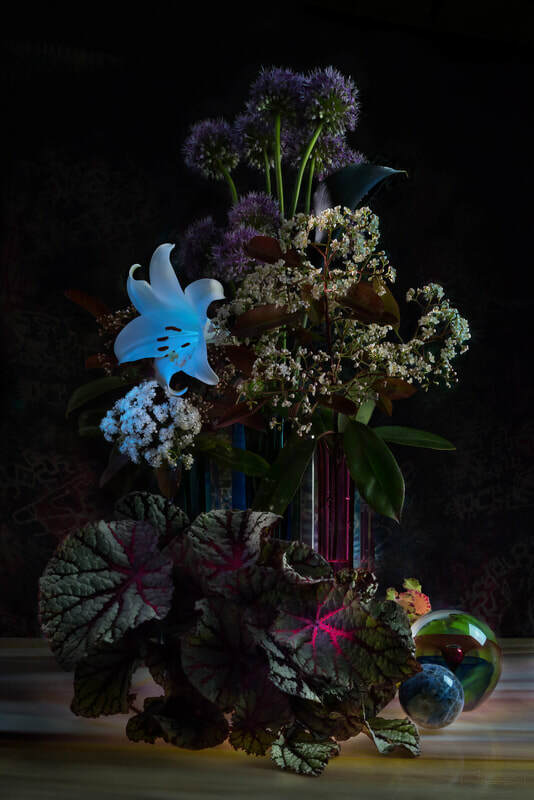 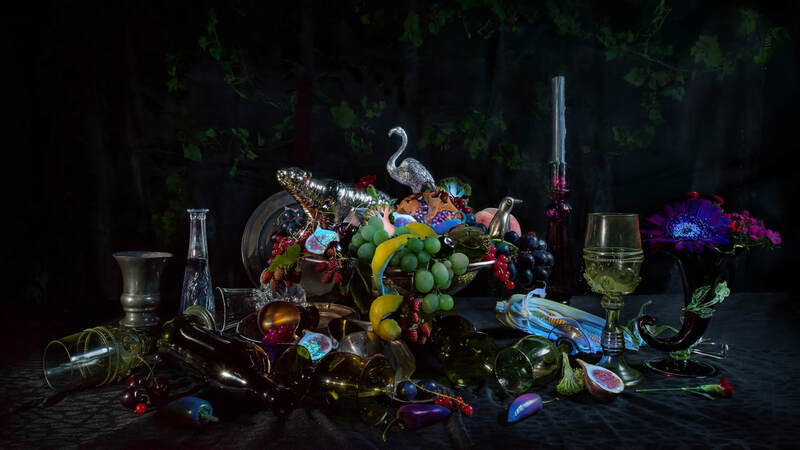 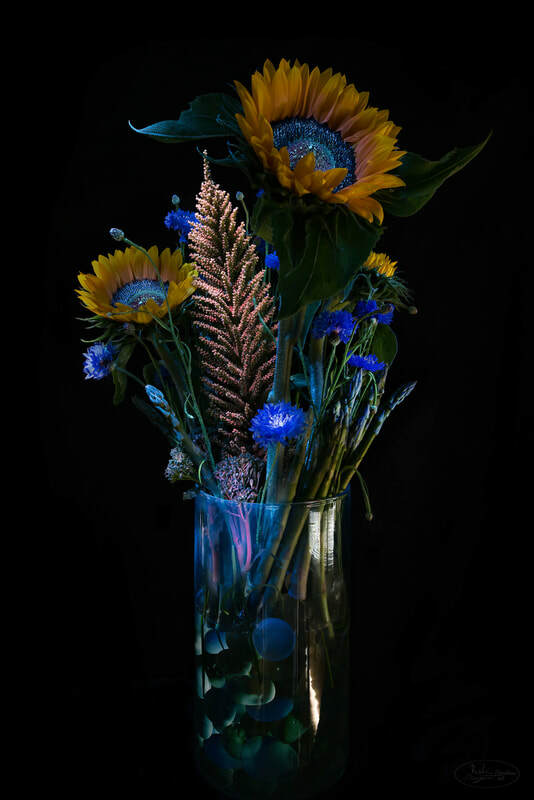 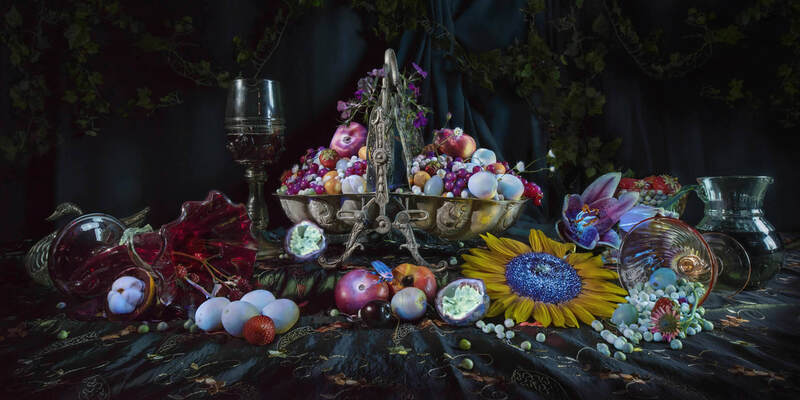 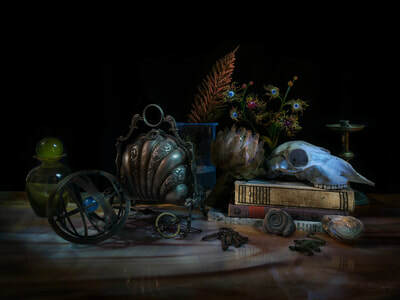 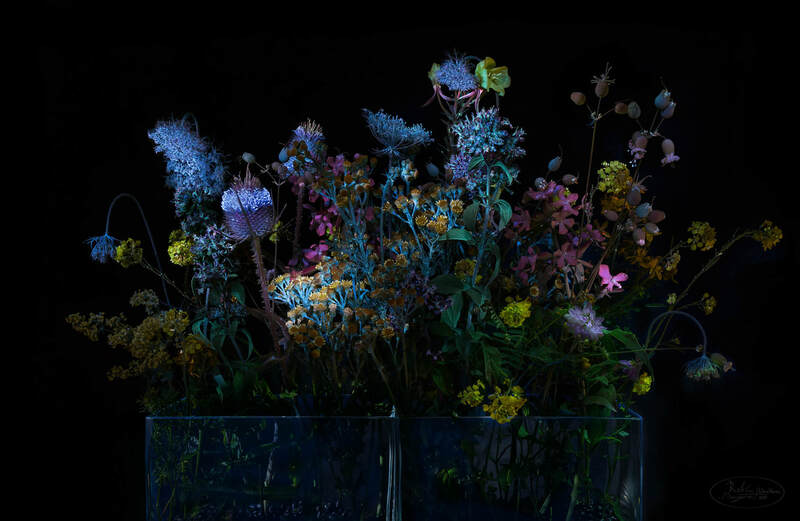 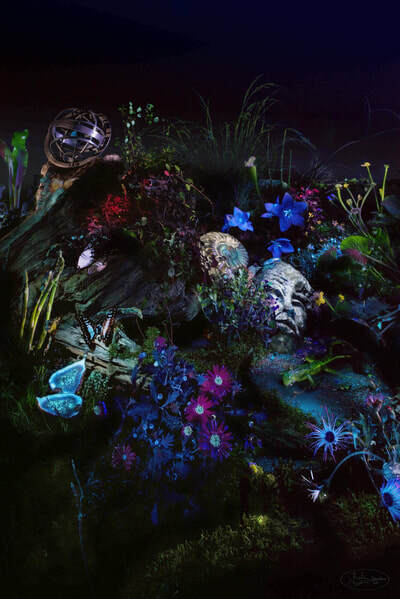 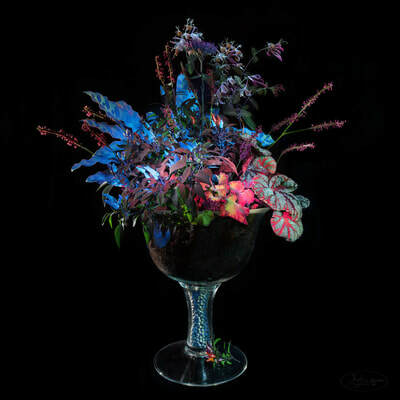 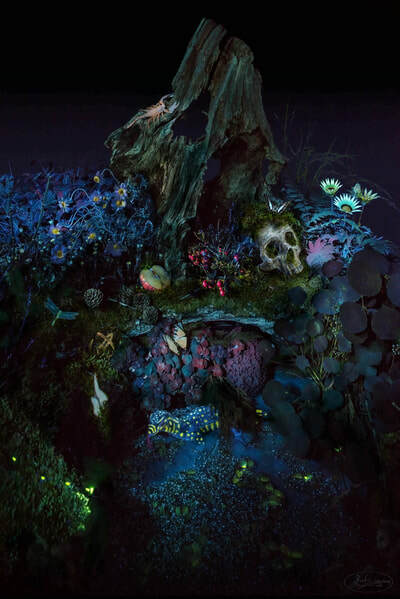 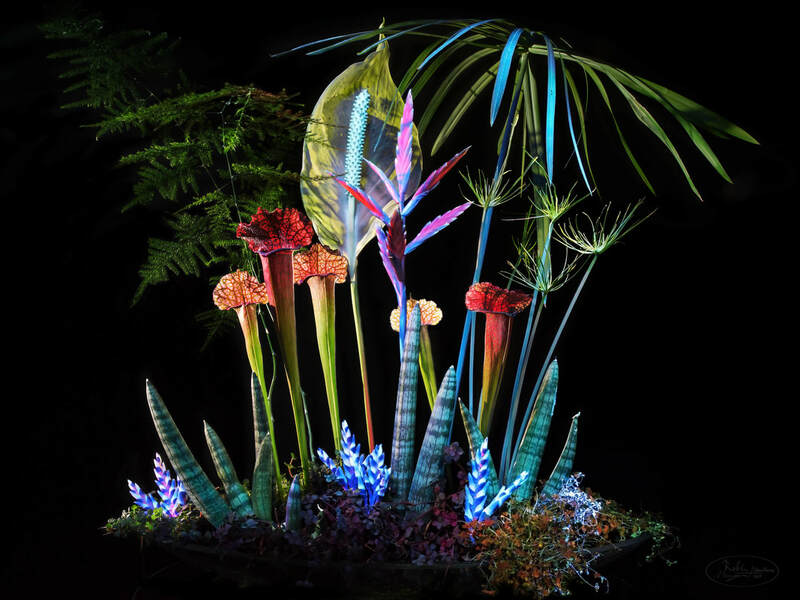 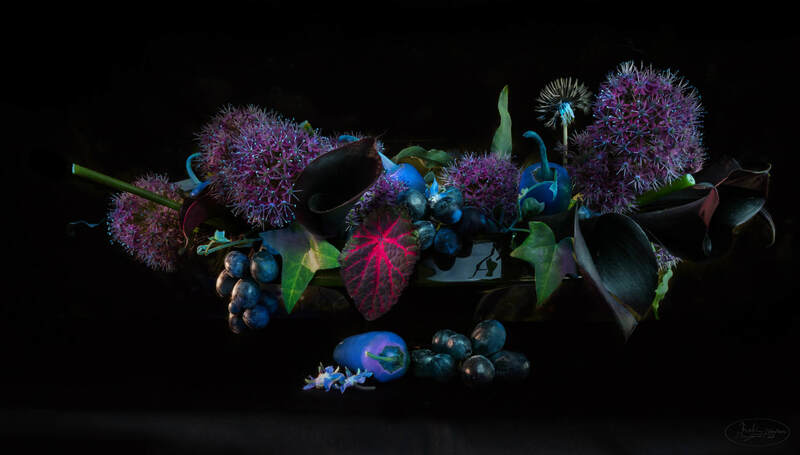 Robin Noorda and Margot van de Stolpe collaborate in the project Ultra Vanity and use a special technique in a series of still life photographs as part of the Photosynthesis traveling exhibition collection of the Tropism Art & Science Foundation. In 2018 Ultra Vanity works are exhibited at the Grachten Galerie in Utrecht 28 June till 14 September, at Masterly The Hague, 20-23 September and in the and Flower Art Museum, Aalsmeer, 13 October till 6 Januari 2019​. 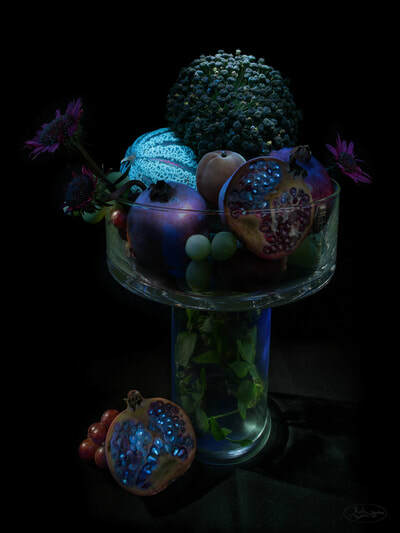 The catalogue can be ordered here. ​Tech specs: The results are composed of stacked layers of long exposures, up to minutes. 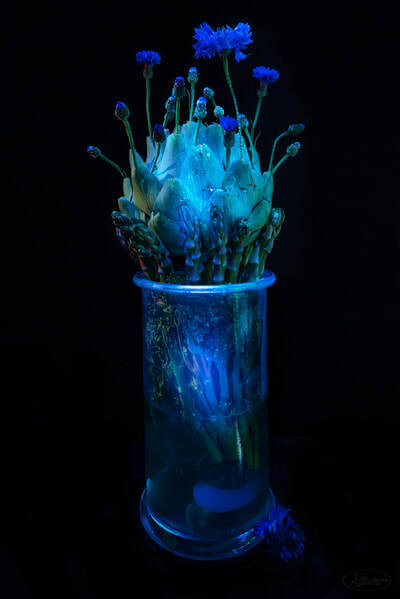 I used a Nichia MTE 303 365nm LED torch that I bought in Hong Kong and modified with a Hoya U-340 UV bandpass filter I found in the USA, I also modified a Canon flashlight, removing its UV filter and adding an Hoya U-340 + Schott S8612 UV-bandpass​ filter. The camera used is a Nikon D810 and the lenses have an Hoya UV and IR cut filter. 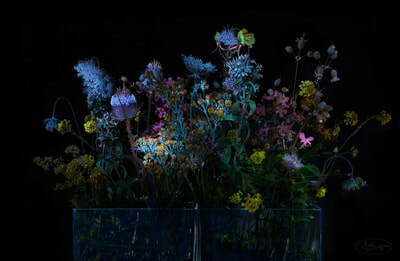 The lenses used are a 24mm PC Nikkor, a 70-180mm Nikkor macro, a Nikkor 105mm DC and a Laowa 15mm macro. 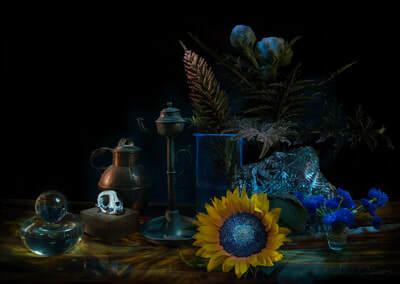 Total costs for the filters and torch only: some € 700.